I walked down the side walk watching as the early clouds rolled by making it a dull gray morning. I took in a deep breath through my nose, smelling the sweet sent of rain. I found the smell of rain soothing and comforting. It was always something that made me feel at home. I was startled out of thought by the quick padding of feet running. I turned to find a small green hooded figure running quickly my in direction. I couldn&apos;t quiet tell who it was because they held they&apos;re gaze down and held a Hand to their face. As the hooded person ran their foot caught on the edge of  the sidewalk tripping. "Whoa!" I lept forward catching them in my arms. I heard them catch their breath and sniffed they stood up still looking down,they fixed their bag and stood there in front of me. "Lad? Are you ok?why we&apos;re ya running so quickly?" He sniffed adjusting something on his  face. I recognized the way he adjusted himself, the small build  and green hoodie,then I realized who it was."cry? Lad?" He sniffed and I heard him shudder as he took a Breath. "Yeah....it me." He  sounded kinda hurt so I to try to make sure he was okay. "what&apos;s wrong dude? You sound hurt..." cry looked up at me and I saw his mask was cracked down the middle an  I could see a sad brown eye looking through. I saw tears forming at the bottom of the mask." Jack...I need... to fix it..." I was confused then I realized he was  talking about the mask. "cry what happened to it? Did you fall? "he sunk to his knees and covering his exposed eye .I could here him sob. &apos;&apos;I was cornered .....and  they broke it....Jack I need to fix it ....please..." I crouched down next to him, and looked at his broken mask he was wearing. the tears coming faster. "why do you need to fix it?" He looked at me through that  broken mask and his expose  eye widen." Jack....I&apos;m afraid of m.....my.. self.., every time I see  my reflection I see  horror and sadness and that terrifies me.. I need to fix my mask...it  the only thing that protects me..from myself." I looked at him, sobbing and confessing himself up to someone he met just yesterday.I knew how it felt afraid to see who he really is. I knew that too well. I grabbed him picking him up,he was small so it was easy. I took my hat and handed it to him. "use this till we get it fixed I know were to go,don&apos;t worry I&apos;ll help you cry." He took the hat hiding his exposed eye. I began to quickly walk as rain began to come down on us. He sniffed still crying and between sobbed spoke. "th-thank you.."
I was sitting at my desk reading when I heard a frantic knocking on my side door that lead outside. 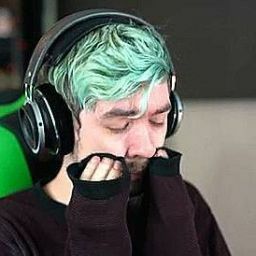 I stood up and opened it to find Jack soaking and holding someone in his arms shivering and covering his face with a hat. Jack rushed past me putting down the kid he held on the counter. The kid curled up covering his face with the hat and his knees. Sobbing softly"I need something to mend a broken mask? You have anythin&apos;?!" He looked at me with a frantic need and panic in his voice." Yeah, in the back cabinet there should be some adhesive glue." He ran to the back and searched  frantically for it until he found it. Jack rushed to the other kids side taking something white from his shaking hands and putting it together. "Jack what&apos;s going on?why do you need glue? Is everything alright? "the other kid held the hat close to himself covering his face completely. "its for him, he was cornered and his mask broken. He needs it without it he&apos;ll go into panic attack." Jack held the prices tightly together,keeping it steady as the glue dried. He pressed  on the mask testing it,making sure all the parts were secured. He nodded hand it to the kid on the  counter. He took the mask removing to hat, placing the mask on his  face. Jack hugged  the kid and the kid sobbed softly thanking him. I came closer speaking softly making sure to give him and Jack space." What happened,jack?do you know who cornered  him?" he shook his head running a Hand through his hair. "I was walking; when cry came running up behind me and I found out cry was  hurt and took him here." He leaned against a desk looking over at cry. He had unfurled a bit and was looking up(well with mask on) watching jack. "thank you.....you really didn&apos;t have to help me." Jack shook his head and walked over. "I had to help my friend,everyone needs someone who can watch over them. "he smiled looking at me. I smiled rubbing his shoulder"and cry, I think you found a good friend." Jack blushed,but nodded. "no how about we get you boys dried off?" They looked down at their soaking clothes and nodded. "yeah,I guess my second shower wasn&apos;t very helpful." I laughed and we went down to the gym locker where the towels were.